Many writers are told to write what they know. And while starting out as a writer, that’s what I have done. In my day job, I work as a psychologist, working from a model that our early experiences influence (but don’t dictate) who we become. I am fascinated by people, their relationships and what makes them tick and also what makes them resilient in the face of adversity. In saying that, I also enjoy my time outside of psychology, time I have to recuperate and look after myself so that I can help my clients to the best of my ability. So, in my spare time I write. And read. I probably read more than I write. But I enjoy both equally. A few years ago I delved into the world of fantasy (and paranormal/ sci-fi etc.) and there was something about this genre that really clicked for me. During the day, I would work as a psychologist, using my background in science to help people; during my time off I would read about worlds where people had special abilities and secret lives. The next step was to start writing about people with these abilities. My first novel, A Season of Transformation, is a young adult fantasy novel and this was my first attempt at writing a story in this world. Once this project was completed, I had a nagging feeling that I wanted to write about a young psychologist who had special abilities. Even though I love my job, there’s something very appealing about working for a secret government agency using specialist skills. So I came up with the idea for the Elite Team, a group of consultants with special abilities who are recruited by a government agency. The protagonist, Olive Morgan is also a psychologist. She is in a bit of a rut in her job and is unhappy in her relationship and she has the ability to see into peoples’ memories when she touches them. When an explosion in a Sydney shopping mall causes havoc in the local community, Olive is approached by a government agency to utilize her skill and so the adventures begin. I really enjoyed writing Olive’s story because it gave me the opportunity to write what I know as well as getting my daydreams down on paper! If you have a secret fantasy job that you would like to do or an extension of a job you are already doing… I would love to hear about it! 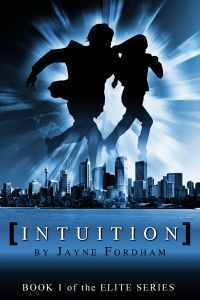 Synopsis: Olive Morgan is not your typical psychologist. She can also access the memories of anyone she comes into contact with. After an explosion in a Sydney shopping mall, Olive is enlisted alongside a team of ‘Elite’ consultants. She joins Canan Jones who can attune to the emotions of other people, including Olive. Initially, she distrusts the agency, but when another explosion threatens more lives Olive has no choice but to use her skill to prevent another disaster. 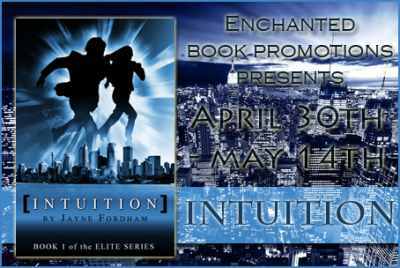 Check out these links for more information on Intuition and Jayne.